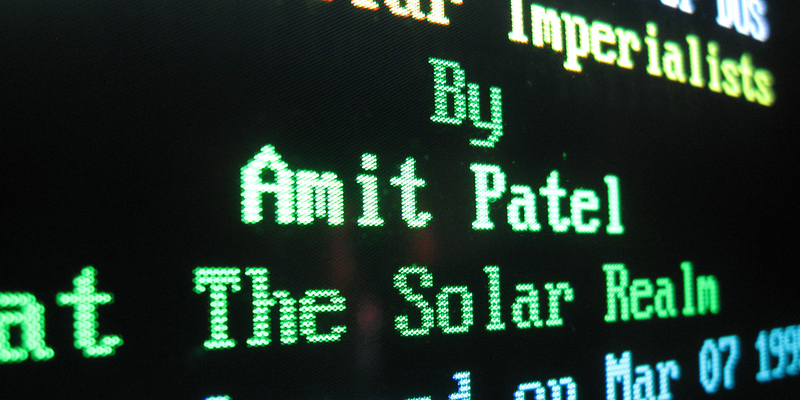 In 1990, Amit Patel created the BBS door game "Solar Realms Elite." In his other life he has worked with programming languages, scientific equipment, data analysis, visualization, geological exploration, simulation of complex systems, economic modeling, maps, trend analysis, artificial intelligence, and web software. He's now working on interactive reference materials for game developers.